Effective data protection is front of mind for modern businesses of every size. Controlling and monitoring network traffic is vital to ensuring that your sensitive information is kept safe, and in many instances a firewall system is your first and best line of defense against viruses, data corruption and information theft. 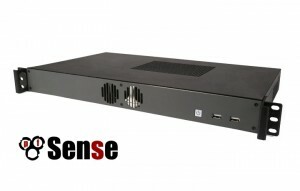 In response to the growing demand for reliable firewall hardware that can stand up to the challenges of today’s wide variety of computing environments, we’ve recently updated our selection of industrial firewall systems to include some of our most popular computers pre-configured with either Untangle® or pfSense® software. With actively cooled, fanless and rackmount options, including systems built on our new ML100, dual NIC NUC platform, we’ve created firewalls and network gateways with the connectivity and performance features necessary to meet the demands of today’s evolving business networks. Read on for a preview of what our new firewall lineup has to offer. 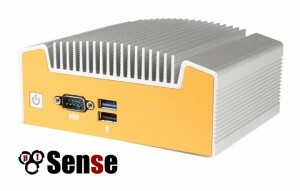 Why Untangle & pfSense® Software? In evaluating software options to bundle with our firewall systems, we wanted to give users the utmost in application flexibility and a choice of features most appealing to commercial and enterprise users. 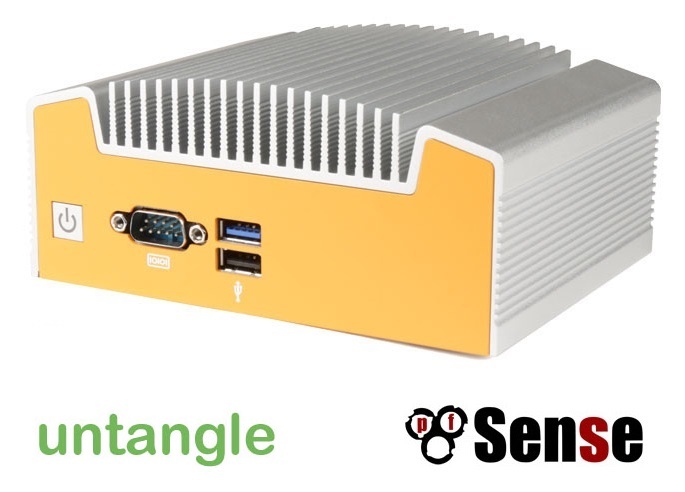 Untangle and pfSense® software both have a long history of helping users keep their networks secure, and each offers a comprehensive suite of features to make network management and data protection simple. The choice between pfSense® software or Untangle will come down to how you plan on utilizing your networking device. Our Hardware Solutions Specialists can help you determine which platform will best suit your needs, and both Untangle and pfSense® software offer a thorough breakdown of features, specifications and capabilities on their respective websites. On to the hardware! The FW200W-10 brings dual LAN connectivity to Intel’s popular NUC form factor and comes preloaded with pfSense® software. Built on our newly-launched ML100 platform, and measuring only 2.5” tall, this economical system offers ample power for up to 2,000,000 Active Connections as well as built-in wireless connectivity. No matter how you connect to it, the FW200W-10’s fanless and ventless chassis design ensures lasting reliability in even the dustiest office or manufacturing environments. Designed for the most demanding enterprise network applications, the FW800R-50 with pfSense® software offers stateful packet filtering, Open VPN and a variety of advanced features to help keep your data protected. Supporting up to 8,000,000 Active Connections through 6 onboard Intel-based Gb Ethernet ports with vPro support, the FW800R-50 easily integrates into any 1U rack system while its two expansion slots allow for additional storage, future upgrades and out of the box customization. Reversible mounting ears enable I/O-forward installations while ultra-efficient PWM fans keep the system cool even during 24/7 operation. The NG100B-10 with Untangle software is designed for use as a file server, content filter, firewall, intrusion monitor or network management appliance. Featuring 5 Gb LAN ports, the NG100B-10 supports up to 100 users and is powered by an energy efficient Intel Quad-Core Celeron Processor. 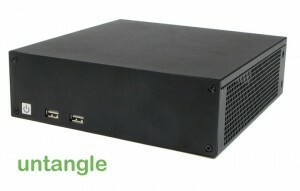 Ideal for space constrained installation, this small but versatile network appliance has room for dual 2.5” server grade hard drives and includes a selection of modern and legacy I/O for easy connectivity to a wide range of devices and equipment. 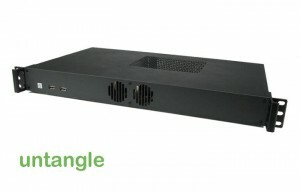 Powered by Intel Core i3 Haswell processing and bundled with Untangle software, the NG250R-50 features 6 Gb LAN ports and support for up to 250 users. Ideal for use in a range of network applications, the NG250R-50 is equipped with a 1TB server grade hard drive and 8GB of high-speed DDR3 RAM. Whether implemented as a firewall, intrusion monitor, file server or content filter, this 1U gateway was designed with flexibility and reliability in mind. This is just a sampling of our new firewall lineup. Fore more information about all of our new industrial firewall systems, visit this page or give us a call at 802.861.2300.